The lives of four local high school students are about to change for the better through scholarships to Windsor High School at Albany. The lives of four local high school students are about to change for the better through scholarships to Windsor High School at Albany – an exclusive school for the wealthy associated with the luxury residential community located on the southwestern end of New Providence. Monday marked the beginning of the first school year for the new institution. 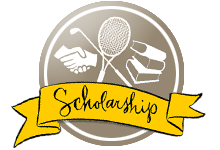 The newest Windsor High School students are 15-year-old Haylie Turnquest (golf scholarship recipient), 14-year-old Jacobi Bain (academic/tennis), 15-year-old Sydney Clarke (academic/tennis) and 15-year-old Reagan McKenzie (academic). The students are beneficiaries of the Bahamas Youth Foundation, Albany’s newly established non-profit organization. The foundation was established to ensure the school, which costs $19,000 per annum per pupil, remains accessible to deserving youths who want an opportunity to excel, said the school’s director Lisa McCartney. As the founder and director of several elite schools, McCartney’s student body typically comprises a minimum of 10 per cent scholarship students. In the space of a week, Albany said it found partners to pledge over $1 million to the foundation. At an event for parents, investors and community stakeholders held last weekend, Christopher Anand, the luxury development’s managing partner, announced further pledges totalling $750,000. Windsor High is unique with its focus on tennis, golf and soccer through signature sports academies that use cutting-edge technology and top international coaches to assist motivated players in perfecting their game. The sports academies are proving a “powerful tonic” in helping to attract students from around the world, said Anand who noted a number of incoming students have come from New York and London. “The idea is to encourage the best of the best to come to school here,” he said. Windsor High provides unique, custom learning paths in business studies, fashion and design, marine biology, creative arts and music production. The Central Bank of The Bahamas governor John Rolle has responded to Moody's recent rating and discusses the establishment of a credit bureau in The Bahamas. Watch an interview with Rolle here.